Sweetwater, McBain ranch, near Tabernas, Almeria, Spain. On this occasion I was on a trip to Almeria with my parents, we found Sweetwater by chance having just visited what is now 'Texas Hollywood'. 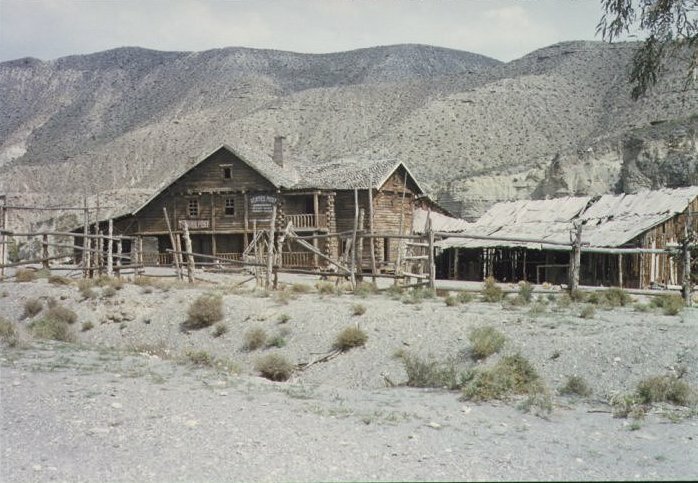 Apart from the Trading Post writing the ranch was very close to the original style from Once Upon A Time In The West. There was nobody around, it was not a tourist attraction, there were no admission fees, this is how I prefer to remember it.